Short version: 1. Make a donation to support the ACLU and/or the National Immigration Law Center - they are on the front lines of this battle. 2. Call your Senators and Representative to ask them to speak out against the ban. Click here to see if they've spoken out against it or not and scroll down for scripts. 3. Delete Uber and join SumOfUs in urging the CEOs of the 17 other companies on Trump's economic advisory council to renounce his hateful, unconstitutional ban and quit collaborating with his administration. 4. Join a protest. Find one near you here. 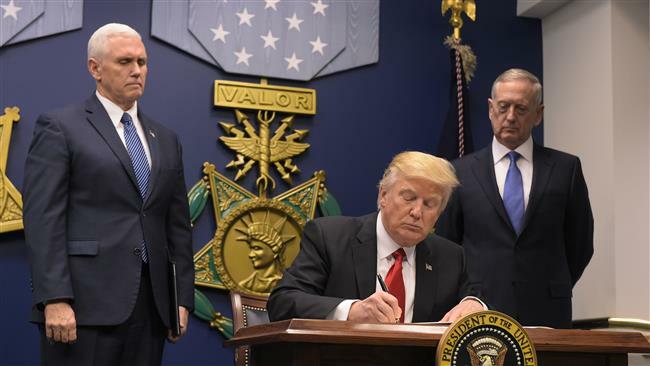 Unless you're living under a rock, you've heard that Trump signed a chilling executive order on Friday banning the entry of immigrants and refugees from seven Muslim-majority countries for 90 days and barring Syrian refugees indefinitely. If it were not transparent enough that this is a ban on Muslims, the order specifically says that it will give priority to Christian refugees over Muslim ones. Bonus points for signing this order on Holocaust Remembrance Day - that was probably Bannon's idea. Noticeably absent from the list of banned countries were Egypt, the United Arab Emirate and Saudi Arabia - all Muslim-majority countries that have a history of exporting terrorists to the U.S. but also happen to be countries with which Trump has business ties. According to the NYTimes, "In Saudi Arabia, his most recent government financial disclosure revealed several limited liability Trump corporations. In Egypt, he had two Trump companies registered. In the United Arab Emirates, he had licensed his name to a Dubai golf resort and a luxury residential development and spa. Some of these entities have since been closed, and others remain active." Thanks to the quick work of the ACLU, a federal judge in Brooklyn stayed the executive order on Saturday, which temporarily stopped the deportation of refugees and other immigrants detained at U.S. airports. I had made a donation to the ACLU just after the election but when I heard this news, I made another gift - the ACLU will be a crucial champion in the next four years. 1. Please join me in donating to the ACLU and/or The National Immigration Law Center - they are on the front lines of this fight. Wonderful protests spontaneously erupted at international airports all across the country and a HUGE crowd gathering at JFK to show solidarity with the people trapped inside by Trump's ban. The NYC Taxi Workers Alliance called for a strike of its 19,000 members (many of whom are Muslims and immigrants) and halted pickups at JFK in solidarity. 2. Urge Uber and the 18 other major corporations who are part of Trump's economic advisory panel to renounce his ban and stop collaborating with his administration. If you have a connection to any of these companies, please also reach out via whatever channels are available to you. 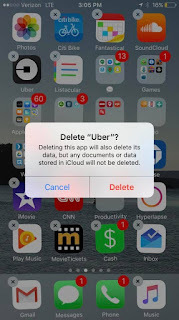 If you use Uber, you can delete your Uber account to send a message to Uber's CEO that profits do not trump human and civil rights. You can switch to Lyft or just opt for public transportation if it's an option! Send a message to Uber letting them know you've deleted your account and why - popular hashtags are #NoBanNoWall and #DeleteUber. 3. Call your members of Congress to ask them to speak out against the ban, thank them for denouncing it or scold them for supporting it. Here's the list of who has said something in favor of, against or has stayed silent so far. See the scripts below for the various scenarios based on whether your congressperson has done the right thing, the wrong thing or nothing. My name is YOUR NAME and I'm a constituent calling from YOUR CITY OR TOWN. I am appalled by President Trump's recent Executive Order banning Muslim immigrants and refugees from seven countries from entering the U.S. I urge the SENATOR OR REPRESENTATIVE to publicly denounce this extremely un-American executive order and to fully support the effort to repeal it. Anything less is a true failure of the principles we hold dear as Americans. I also urge the SENATOR OR REPRESENTATIVE to do everything possible to block Trump's cabinet picks, including Jeff Sessions, Betsy DeVos, Tom Price, and Steve Mnuchin. Thank you for taking the time to pass my comments along. My name is YOUR NAME and I'm a constituent calling from YOUR CITY OR TOWN. I am appalled by President Trump's recent Executive Order banning Muslim immigrants and refugees from seven countries from entering the U.S. I am equally horrified by the fact that the SENATOR OR REPRESENTATIVE has endorsed this extremely un-American executive order. I urge the SENATOR OR REPRESENTATIVE to publicly rescind support for the ban ASAP. Thank you for taking the time to pass my comments along. My name is YOUR NAME and I'm a constituent calling from YOUR CITY OR TOWN. I am appalled at President Trump's recent Executive Order banning Muslim immigrants and refugees from seven countries from entering the U.S. I wanted to say how much I appreciate the SENATOR OR REPRESENTATIVE's refusal to support this un-American ban and I expect HIM OR HER to back up those words by obstructing the efforts of Trump's administration at every opportunity, starting with blocking the confirmation of his cabinet nominees. Thank you for taking the time to pass my comments along. 4. Join a protest. These are ongoing at airports across the country. Find a protest near you.